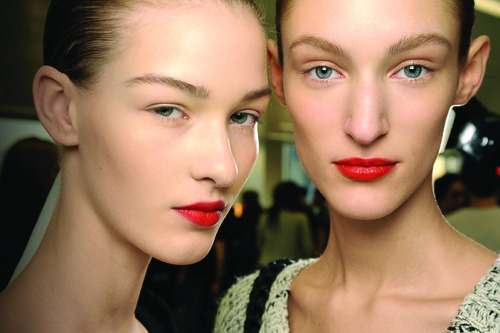 There was no hiding it, the lot of us were excited to be at the MAC Fall-Winter 2012-13 Trends Recap. 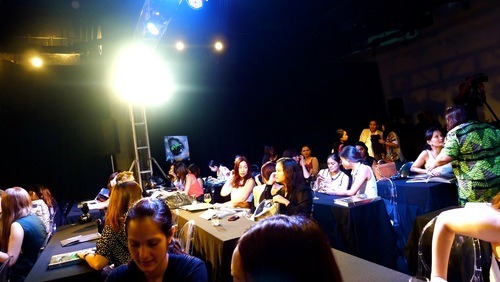 It is a much-awaited beauty event that happens twice yearly as MAC’s way of updating us on the makeup trends to come. 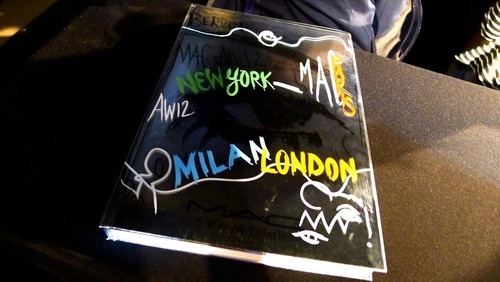 At the event, they usually give out hardbound books filled with backstage photos from New York, Paris and London Fashion Week. The photographs are impeccably arranged according to trend, which is really great reference for any beauty editor or writer. According to MAC, there are four major trends to watch out for, and these are: Sense + Sensibility, Roam Antique, Hone-Structure and Arti-Tech. I know, I know. These names or titles hardly give anything away. Let me explain each one in detail. SENSE + SENSIBILITY. This trend is all about creating the quintessential look. 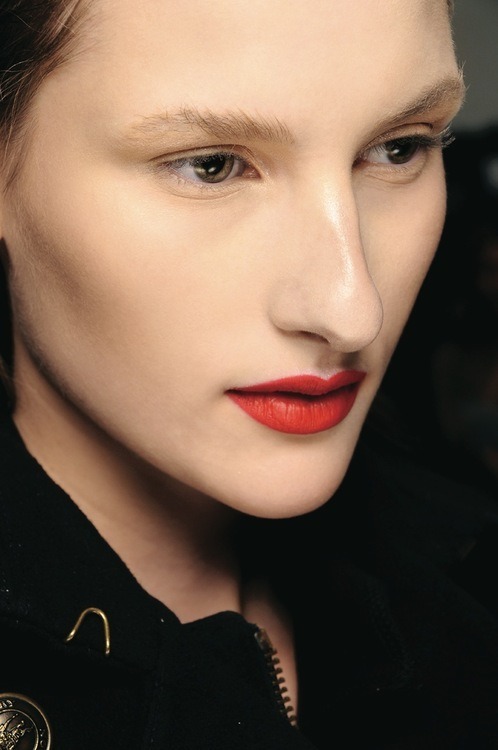 It is beautiful makeup that attaches itself with adjectives like balanced, understated, elegant, effortless and groomed. But while everybody has their own version of a classic beauty, this one calls for a bright red lip, seamless healthy blusher, and a full (but never overpowering) brow. “I’m calling it Sense and Sensibility makeup,” explains MAC senior makeup artist Lyne Desnoyers. “Its about timeless classics done in a modern way – these are elements of makeup that never go out of fashion but simply get reinvented,” agrees Terry Barber, who is also a MAC artist. ARTI-TECH. While black liquid eyeliner brings back memories of so many eras: Twenties flapper, Forties feline, Fifties wings, Sixties flicks, Seventies punk and Eighties new wave, this trend is able to hold its own and look very modern. 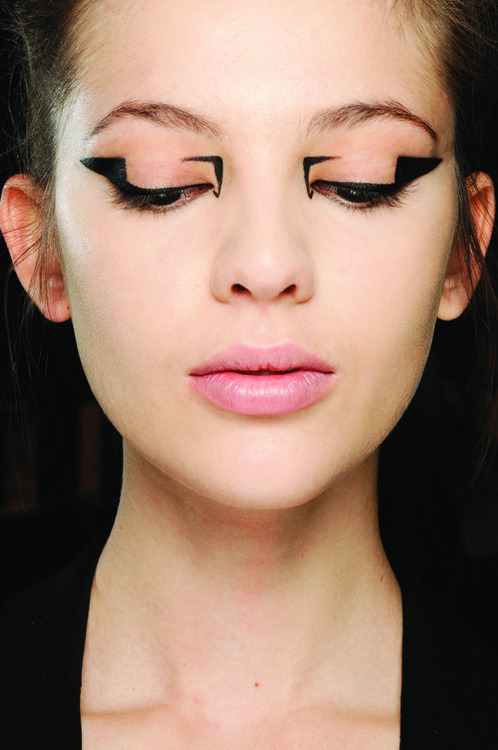 Think: geometric graphic lines precisely drawn on the lids. ”(Its) all about a trick of the eye that is very artistic. Its about taking such a classic gesture but reworking it into something non conformist,” Gallimore said. THE ultimate makeup look book. 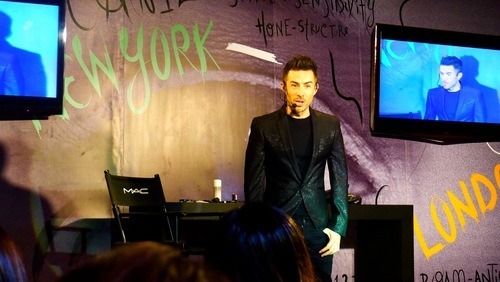 MAC makeup artist James Molloy. 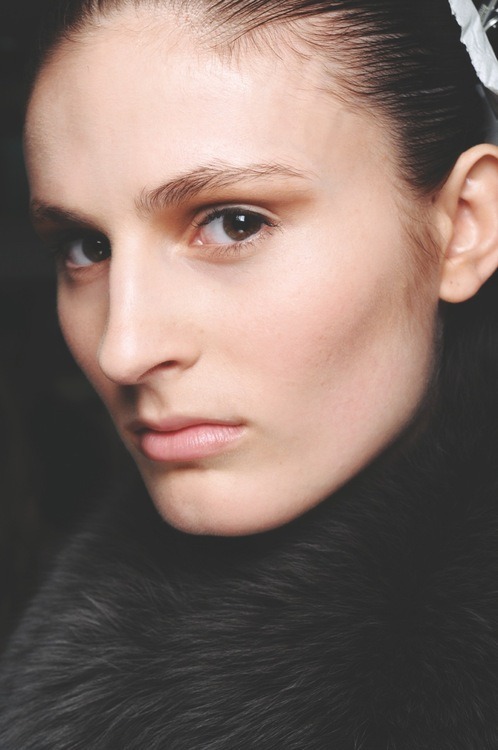 James shows us the first makeup look: Sense + Sensibility. 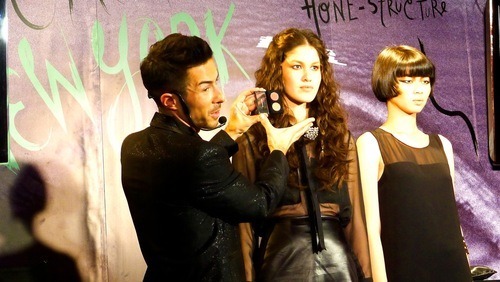 He shows us how to highlight the skin, making it look more flawless using MAC Mineralize Skin Finish. He then applies the hottest lipstick shade of the season: Lady Danger, on the model. The next look: Hone Structure. The makeup is just so beautiful. 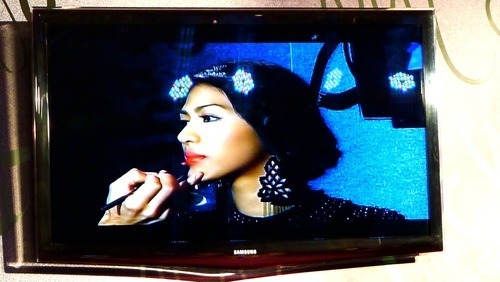 MAC’s four makeup trends for FW2012-13. Its really all about selecting the right eyeshadow for this look. Beauty editors, writers and bloggers. With the elegant Daphne Osena-Paez. This book is just WOW.